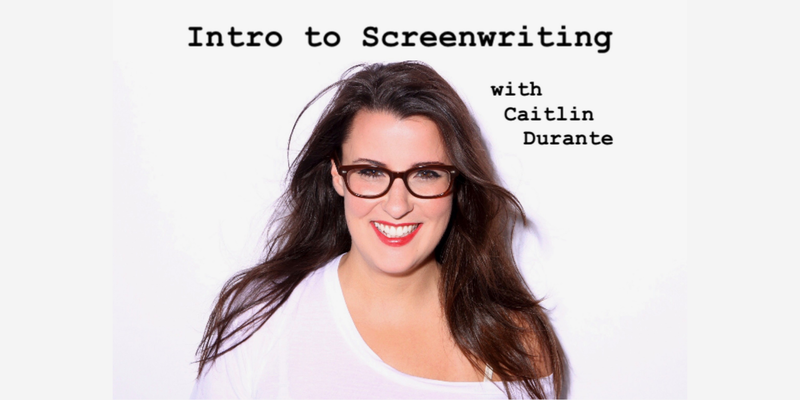 A fun and informative crash course in screenwriting for narrative film and television from Master degree-haver and Bechdel Cast host Caitlin Durante. Have an idea for a movie but don’t know where to begin? Want to learn how to write an original TV pilot? Need a screenwriting overview? Join instructor Caitlin Durante (The Bechdel Cast) for a crash course in writing for the screen for narrative film and television. This workshop will cover crafting a story, characterization, structure, theme, dialogue, format, and other script mechanics, as well as what to do with a finished script, all with an emphasis on writing stories that are diverse and inclusive. Attendees will also have the opportunity to pitch a movie or series idea to Caitlin and receive feedback. Doors 10:30 AM, show 11:00 AM. Caitlin Durante is a Los Angeles-based writer, comedian, and podcast host. After earning an MFA in Screenwriting, she went on to work as a story analyst for various literary agencies, production companies, studios, and screenwriting competitions, including ScreenCraft and Amazon Studios. She has taught writing and comedy courses at all over the country, including Boston University, The Ruby, Curious Comedy Theater, and the Los Angeles LGBT Center, and she currently freelances as a script consultant. Caitlin is also the creator and co-host of The Bechdel Cast, a podcast that examines the portrayal of women in film through a feminist lens. She performs standup all over the country, and she saw Paddington 2 in theaters four times.